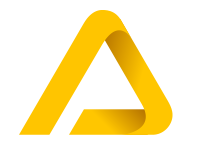 Thank you for your participation in the Avatria Convert open beta program. We're looking forward to helping you start optimizing your product listing pages and hearing your feedback. You can login to the Convert app and our Help Center using your Google account - see our Quick Start Guide that highlights our favorite Convert features and gives you a few hints on how to get rolling. Make sure to check out our documentation for additional information and updates as well. Throughout the duration of the beta program we will also publish the latest information on new features, known issues, and fixes on the docs site. We're excited to have you use Convert, and we greatly appreciate any feedback you may have. If you get stuck, have a question, find a bug, or just think we could do something better, please let us know by emailing convert.support@avatria.com or by using the help widget in the bottom right hand corner of the Convert app. We're here to help so please don't hesitate to contact us for any reason. We'll also be scheduling periodic check-ins where the product team will be available to discuss any topics directly.